Are you ready for crisp, golden days with a wonderful palette of color everywhere you turn? 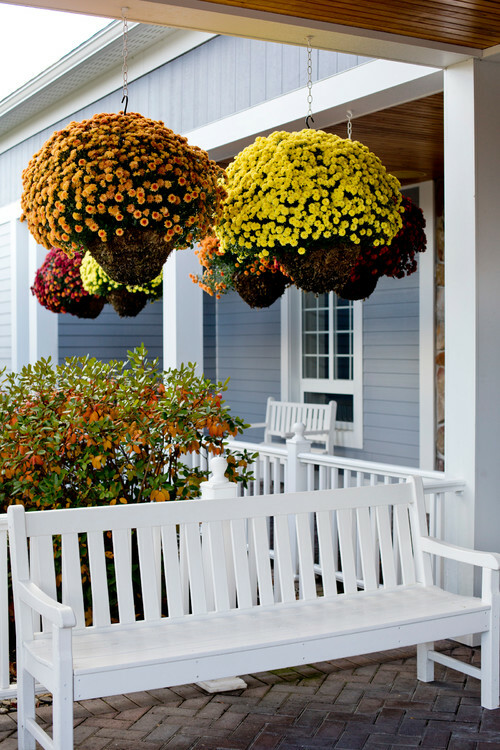 I’m ready to create some fall curb appeal using my favorite mums and pumpkins! 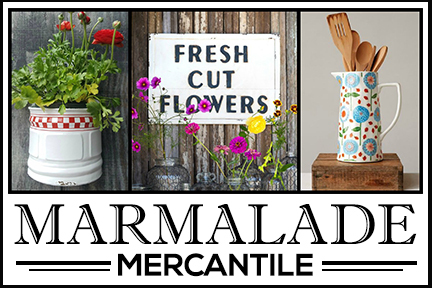 I’ve gathered together a collection of inspirational photos to get the creative juices flowing! Filling my flower boxes with colorful gourds would be fun to do, but I hate the thought of pulling out the impatiens since they’re still blooming. This might be a good idea for mid-October though. 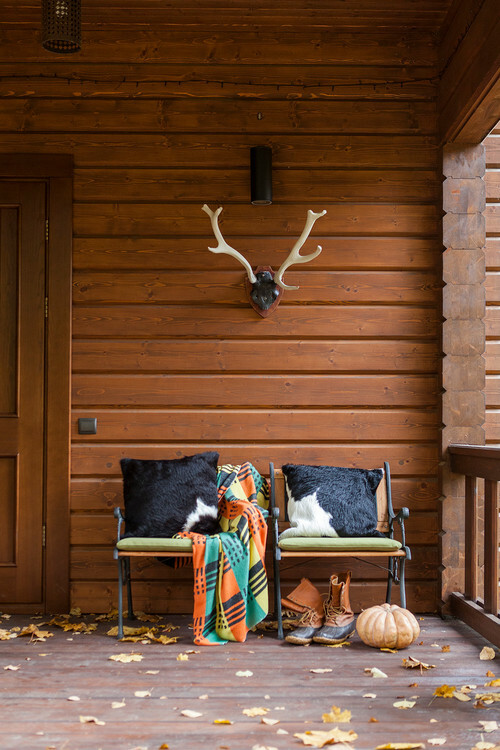 Sometimes a simple touch on a front porch is all you need – like a modern plaid blanket and a lone pumpkin. How cute are these little gourds encircling the base of a tree? Pretty cute with a ring of red begonias still going strong! We’ve done quite a bit of planting in our yard this year, giving thought to timing of blooms and colors. 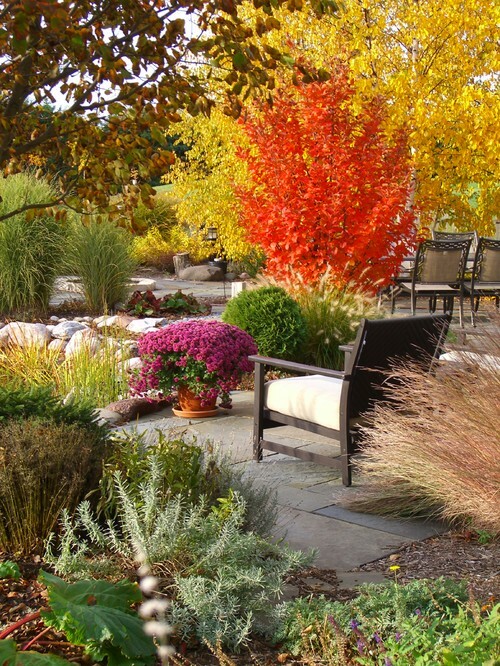 This yard shows how carefully planned landscaping gives a variety of texture and color in the garden. 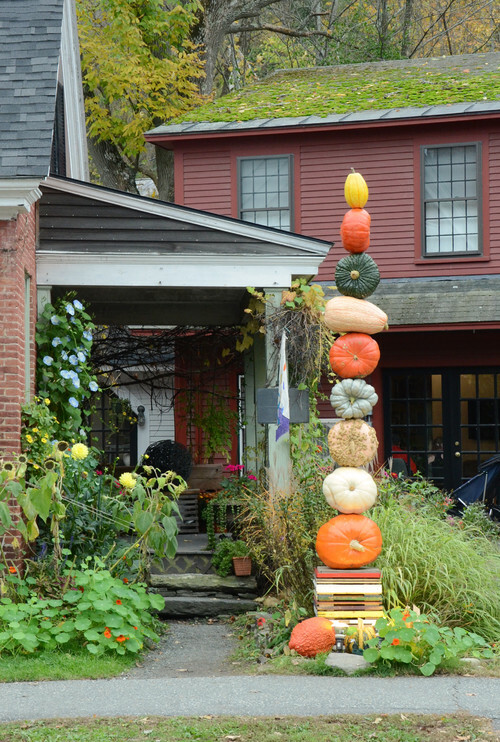 I seriously want to try and create a pumpkin tower like this one! 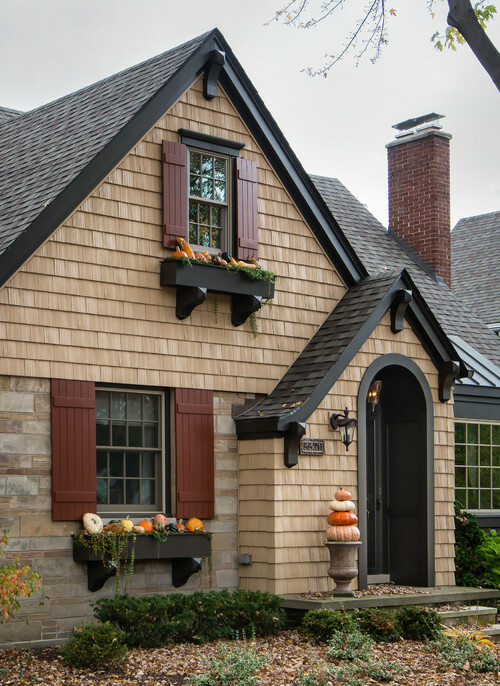 What a clever way to create fall curb appeal. The kids in the neighborhood would love it! 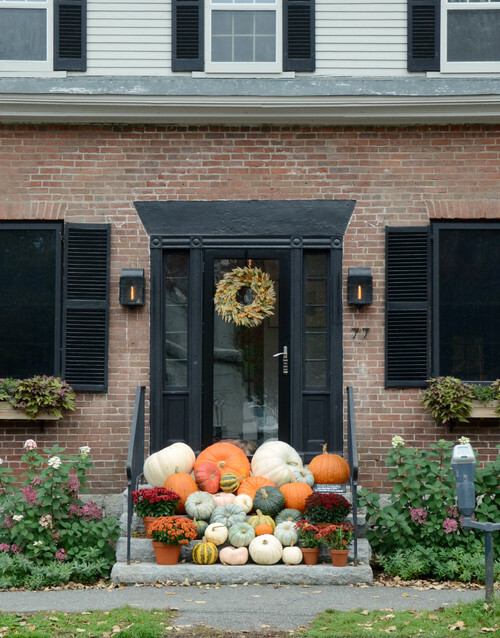 But if you’re not so ambitious, a pile of pumpkins on the steps is equally charming. Not to mention this keeps unwanted solicitors and politicians from knocking at the door! Here’s another haphazard collection of colorful gourds and Indian corn. 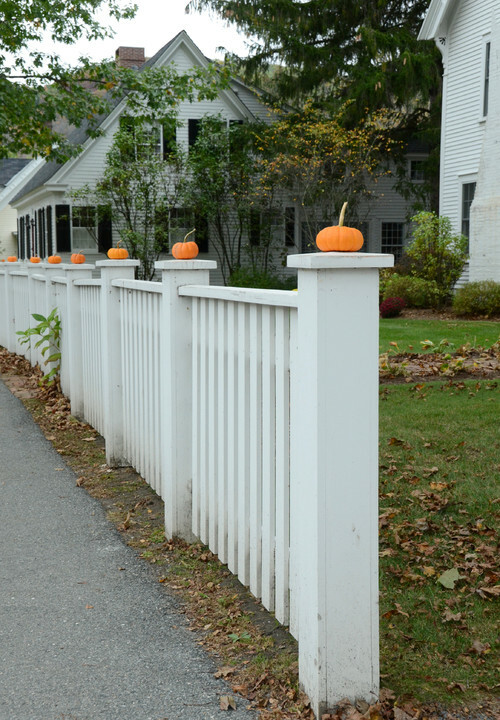 Tiny orange pumpkins take residence on a white fence creating very simple fall curb appeal. Our local nursery carries hanging mum baskets like these, but I passed over them since my impatiens baskets are still blooming their hearts out. 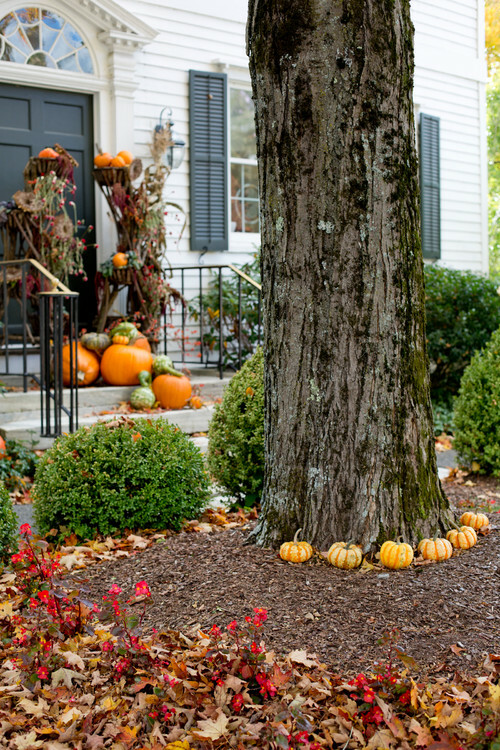 Pumpkin towers provide instant fall curb appeal no matter where you place them. 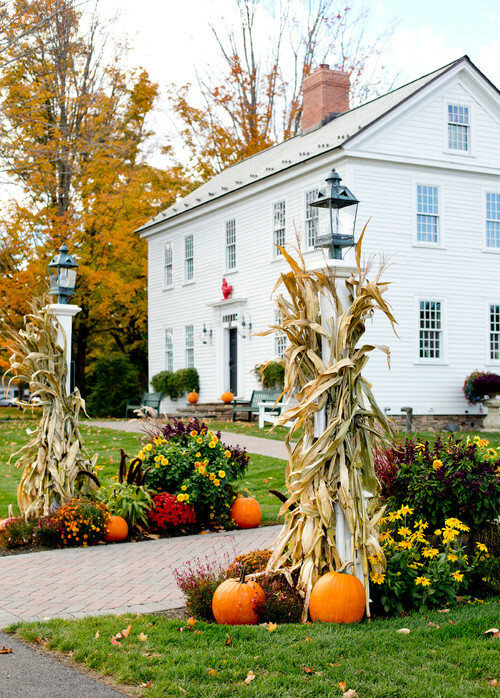 You simply can’t go wrong with outdoor fall decorating when you pair mums and pumpkins. Toss in a couple of hay bales and call it a day! 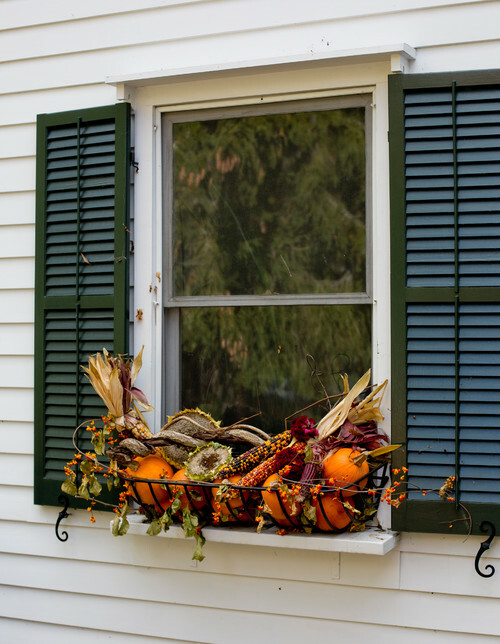 Next Tuesday I’m sharing my outdoor fall decorations gracing our new deck. It feels so cozy out there now and I can’t wait to share it with you! 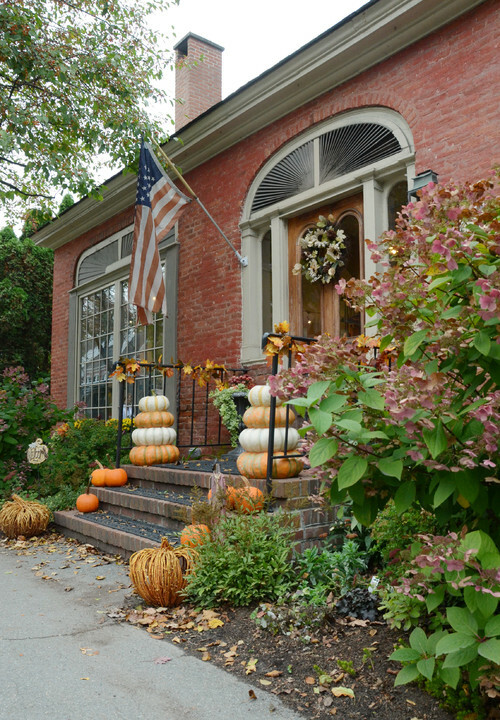 What decorations do you like to use to create fall curb appeal? I’m afraid I don’t do a lot of outdoor decorating for fall. I pretty much count on colorful mums to carry me through to winter since I have a treeline behind my house and a large tree in front that provide a ton of colorful leaves. I’m late with my mum shopping this year since many of my summer flowers are still trying their best and my rosebushes are looking better now than they have all summer. My west-facing plants take the brunt of the summer sun, so they are the first to be replaced. This is Indiana, after all, so I don’t dare wait too long. Summer can change to winter in the blink of an eye. Great inspiration photos Jennifer! Fall is my favourite season and I can’t wait to decorate but I’m with you when you say you don’t have the heart to pull out your impatients while they are still going strong. I have photos of my boys when they were small, dressed for Hallowe’en, beside impatients. Here in Canada Thanksgiving comes much earlier than it does for you so we feel more of an urgency to get on with it! These are all pretty. I’m looking forward to drier and cooler air. I hope it happens soon. I am not too hopeful since it’s still hot and humid. Not sure what I am going to do this year. 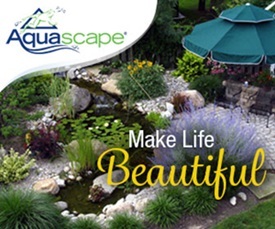 Imagine how you could incorporate your new back garden? Very enjoyable, thanks. 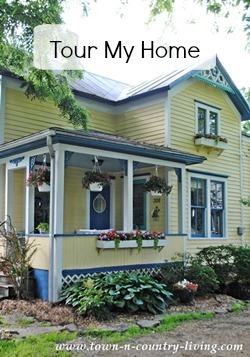 I have a blackboard i write something on each season and my white begonias are still blooming. 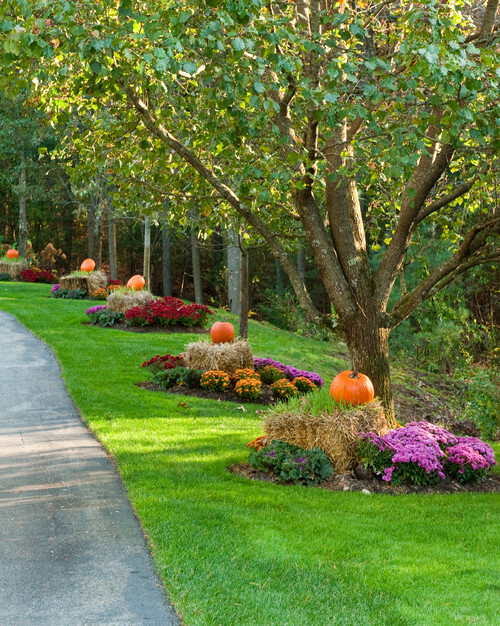 Love the tree line lined area with the pumpkins. BEAUTIFUL! 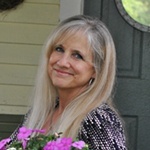 Beautiful inspiration photos, Jennifer. Now all I need is time and energy.